Cable Pulling Machines are in hot demand now a days for increasing the efficiency of work and also making it easy to lay down cable lines in no time at all. Cable pulling winches is an inseparable part of cable pulling machines. Winches are mostly used in pulling heavy load automobiles like trucks, TRAILERS etc. 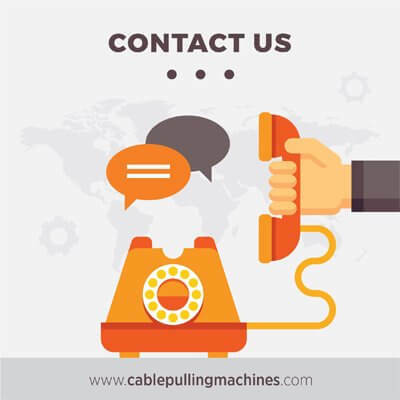 It is important to note that although we have a lot of mechanized way of working these days, the cable pulling winches are interdependent upon each other for working out. 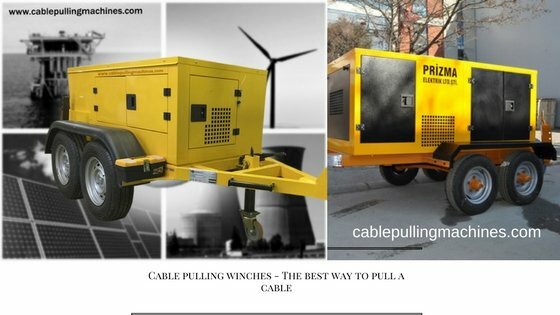 What are Cable Pulling Winches? Winches are small in nature and are applied in all industries including the entertainment and sports industry. Winches have become an integral part of all commercial working industries. It features a small gasoline engine in the four-cycle design, clutches and the spool, all of which lies inside a frame made of steel. The winch mechanism works when the pull is made to stop and it takes the entire load with minimum operation tension and this kind of mechanism is mostly found in small sailing boats, cable pulling winches. There are many types of winches like hydraulic winch, Glider winch, cable pulling winches. Each winch has some specialty and all the products come with a two-year guarantee. Experts offer the post buying services and any technical difficulty faced is taken care of with utmost importance by our technical experts. The Glider Winch is mainly used for the purpose of launching gliders on heavier automobiles. It is cost friendly and the mechanism works on hydraulic fluids. We also offer higher standards of winches in accordance with your needs. There are three questions related to winches that you should look into while purchasing a winch that are if the winch is powerful, portable and light in weight. The technical specifications of a winch are also another matter of importance that should be considered and looked into while purchasing a winch. The working and effectiveness of the winch depends upon the work and the winch you choose for the same. We guarantee commodity satisfaction along with unhindered services.